The Goodrich Mud Company, Inc. has served Northeastern Utah, Western Colorado and Southwestern Wyoming since 1996 by storing and loading silica sand for use in the Oil and Gas industry. In 2019 an in-basin proppant mine will provide API spec frac sand to supply the growing need during horizontal fracturing. 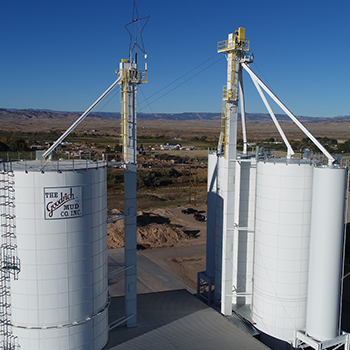 Goodrich Mud specializes in silo storage, product transloading, freight via trucking with pneumatic trailers or railcar, and frac sand logistics. 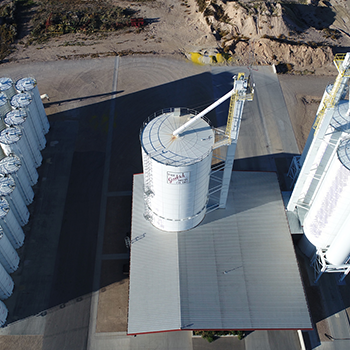 Their Vernal Terminal silo storage and computerized loading systems are the cleanest and most state-of-the-art in the Western United States. Goodrich Mud's specialized system of using their rail yard in Craig, Colorado to connect any type of silica sand to the Uintah Basin is cost effective and logistically efficient.